Although there are many companies that provide mold production services, there are only few happy customers. The reason is that these companies fail to keep up with technological developments and produce inefficient molds with wrong methods. The customers get very different offers for the same part. This naturally confuses them in the decision process. 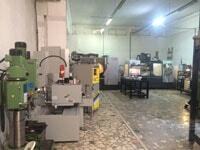 Tulga offers you mold design and production services particularly in injection molding. It analyzes your needs with the most up-to- date methods and does not strain your budget with unnecessary costs. We offer mold design and production services that will reach beyond your expectations with reasonable prices. We evaluate all conditions on computer, but we may still have to take initiative and renew some elements based on our experience. As there are many factors in mold production and injection, each one of them should be considered carefully. We determine the design method and elements to be used according to your quality expectations. 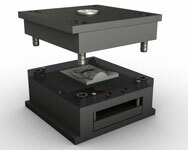 Mold steels are chosen according to the selected criteria. The 3D model is scaled in line with the shrinkage ratio of the plastic raw-material to be used. Parting is done according to desired gate and parting line locations. Mold cavities are formed depending on the production quantity. Runner is designed according to the product material, estimated shot quantity, number of mold cavities, part geometry, size, and mold fill simulations. Sliders, ejector locations, and their kinematic mechanisms are determined. 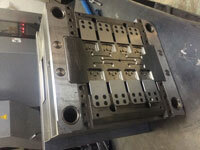 Inserts are designed to facilitate the product’s release from the mold, polishing and machining, and for the areas that may be affected by wear. Then the cooling system is designed. The places of the venting grooves are determined. 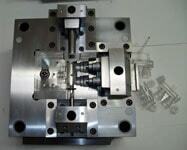 After the appropriate mold set standards are selected, cores and cavities are inserted into the mold set. 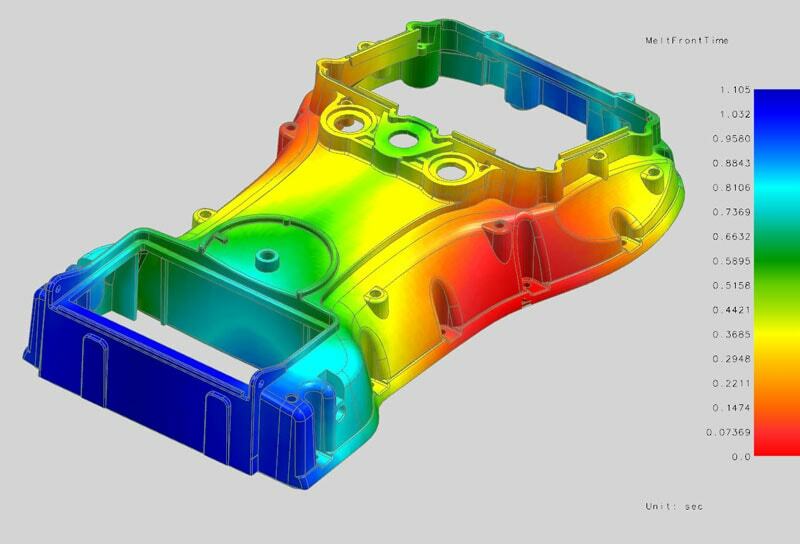 Once the solutions provided for the possible problems in the moldability analysis stage are applied onto the design, production process begins as the next step. We use licensed CATIA V5 software in all our design processes. Although you do the most accurate mold design, you cannot have the results you want if you don’t use appropriate machining conditions. Machining methods, the quality of the cutting tool and tool holder, the experience of operator and mold making master, and the regular maintenance of the CNC machining center are only a few of the criteria necessary for the perfect result. 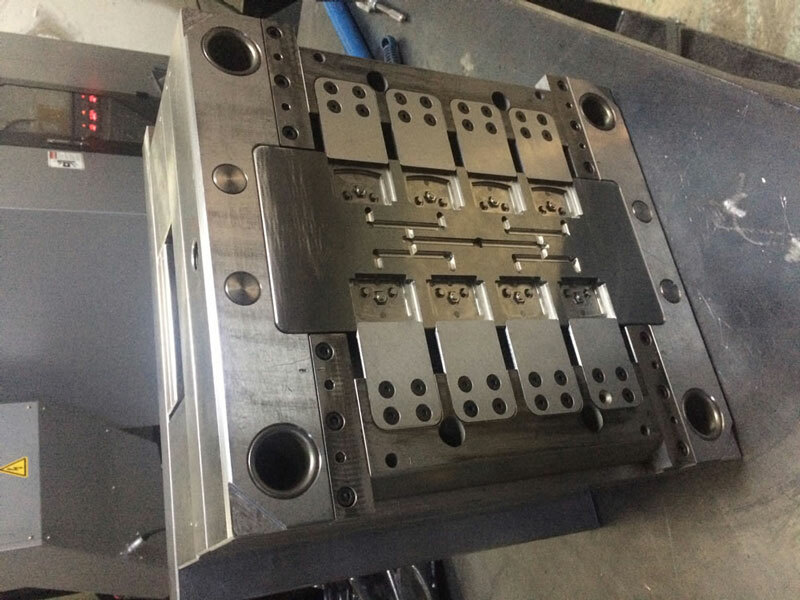 We produce molds by processing mold cores and cavities with CNC machining center, EDM (electrical discharge machining), wire erosion, milling machine, lathe and other machining methods. Before taking the mold to mass production, we do certain checks and tests. After they are complete, we inject initial samples and save optimum injection parameters related the best shot we reach in order to maintain a standard in producing identical parts. In this process, we maintain the production process and the quality level constant through the statistical process control method. We take defective shots in other words, scraps under control and reduce the possibility of these defective parts mixing into the serial production assembly line. We also prevent time losses by quickly responding to the problems that may occur during molding, and thus minimize the effects of those problems on the mass production process. Tulga also provides contract injection mold service for designs come from customers as well as for the projects whose design and development are conducted by Tulga itself.